SpaceX and Tesla founder Elon Musk wants to hire up to 1,000 employees for a Seattle-based engineering office charged with building a commercial satellite business that eventually paves the way for sending spacecraft to Mars. Musk revealed the plan to open a Seattle office in an interview published on Tuesday by Bloomberg. SpaceX already offers the services of its Falcon 9 rockets to international customers for the insertion of commercial satellites into orbit, but last year, the company sued the U.S. Air Force for supposedly holding an "illegal monopoly" on satellite launches paid for by the U.S. government. Musk’s private space firm does conduct resupply missions to the International Space Station (ISS) for NASA, including last weekend’s cargo run, which showcased reusable Falcon 9 rocket technology. But SpaceX wants even more U.S. government business, namely a chance to bid for "the $70 billion the Pentagon may spend on satellite launches through 2030," Bloomberg noted. Beyond just that shot at a big cash prize, though, Musk told the news agency that satellites "will play a crucial role in [his] efforts to reach his ultimate goal of establishing a human settlement on Mars." SpaceX has its headquarters in Hawthorne, Calif. and maintains testing facilities for its rockets and Dragon capsules in Texas, but it appears the Seattle office would be where the company cooks up a long-term plan to build a Mars colony over the next few decades. 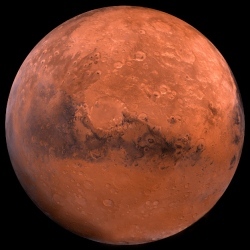 Musk has been vocal in recent years about his Mars ambitions, first promoting the idea of a Mars colony in 2012. His vision is nothing if not ambitious, several years ago, Musk told the Royal Aeronautical Society in London that he envisioned a Mars colony inhabited by as many as 80,000 people. More recently, Musk took to Reddit to talk about Mars in an "Ask Me Anything" session with site users. The SpaceX boss promised details about a Mars transport system "towards the end of this year."